You must know of Dr. Seuss (Theodor Seuss Geisel). Perhaps you read him as a child. Or you now read his books to your children. And no doubt you find him fascinating. If I were to ask you what endears him to you, I suspect you will speak of the mesmerising wordplay and the improbably delightful storyline and illustration. I would agree wholeheartedly. But there is another reason my wife and I love his books, and that is the message in each – an introduction to some ethical or psychological question in a way that is simultaneously thoughtful and light-hearted. 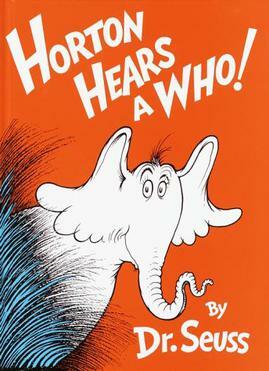 For that reason, high on our list of favourites from the Seuss collection are Horton Hears a Who and The Places You'll Go. As a parent, I spend a great deal of time reading my son various books, but during this dark time, there was one specific book that came to hold more and more meaning to me as I read it. That book was Dr. Seuss' “Oh, the Places You'll Go”. As I regularly read the book to my pre-lingual son, I began to take notice that it captured Truth about life. To be completely honest, during this difficult period, I got to the point where I had trouble reading the whole book to him without choking up. Sure, laugh if you want. A long time ago (2007 I think) I was in a conversation with one of the technical leaders in a startup that I was working at. The subject of our discussion was process and I was flogging my pet religion: efficiency via automation, infrastructure and tools, all focused on the developers/engineers and ease of use from their perspective. I argued, no doubt unoriginally, that most process is designed by managers and consciously or subconsciously built to meet the needs of the manager, answer his questions, give him a view of how things stand, etc., and that this was a fatal mistake. The main job of the manager is to collect, analyse and act on this information, and yet, he was designing a process, and mandating the use of tools, that made his task easier by passing the work to the engineers whose real function was radically different. Not only did this waste the time of developers, but it turned a potential positive — the use of well-integrated tools that could help the engineer — to a negative: the daily wrestling with tools and process, filling out bureaucratic bits of information, that in no way aided the developer, but generated second-order data for the manager that could have easily been derived from a more productive development infrastructure. There are echoes of this malaise in most IT environments as well, but that’s a topic worthy of its own post. The person I was speaking with thought otherwise, taking such an environment as unnecessary pampering of techies. He seemed more at ease with the traditional model that put the manager’s tracking, risk assessment, and other activities at the center (and key to the success) of the organisation’s effort. I didn’t win that friendly debate, and these days I try not to get embroiled in religious wars. When you’re operating on the maker’s schedule, meetings are a disaster. A single meeting can blow a whole afternoon, by breaking it into two pieces each too small to do anything hard in. Since most powerful people operate on the manager’s schedule, they’re in a position to make everyone resonate at their frequency if they want to. But the smarter ones restrain themselves, if they know that some of the people working for them need long chunks of time to work in. I am not that hopeful.